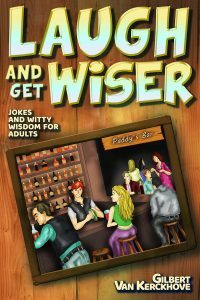 This website is about my books and self-publishing. Since I was a boy, I felt like writing. Over the years I wrote tons of notes, part diary, part ideas. Most probably a lot of trash, a lot of repeats, and all ending up in a pile of scribbled notes, some barely readable, and computer notes all mixed up. I just felt the urge to write. I still have the idea to look at all that junk one day and try to put all the pieces of the puzzle together. Starting my blogs, now many years ago, was a way to give an escape route to my urge of writing, covering a multitude of subjects. Somewhere around 2008 I decided to write about modern society in China. After interviewing quite a number of people and writing a lot I felt the topic was becoming too vast to handle and I stopped. I had the impression I was in the process of writing the “Encyclopedia of Modern China”. Maybe one day I will pick up the pieces and rewrite it from different angles. I also learned a valuable lesson on how to handle sources: I completely messed that up and changed my approach for my first book. The funny thing happened in December 2011, just before Christmas. I always felt passionate about the environment and the effects of the Beijing air pollution stopped me from running any more marathons. I was actually writing about the air pollution since years and I also had accumulated an enormous amount of data in my computer and piles of newspaper clippings. So I said to myself: this is what I should write about – environmental issues, the waste, the destruction and why we came to all this. And what we can do about. Christmas and New Year, Chinese New Year and all the usual work overload did not facilitate to give me ample time to write. But I went through it all in a total frenzy and by the end of May 2012 the book was written and ready for the publishing company to do its part of the job: editing etc. etc. 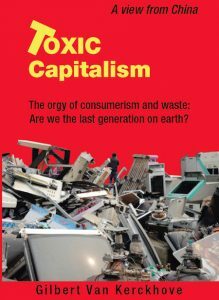 Late July 2012 I had my first printed copy Of TOXIC CAPITALISM in my hands here in Beijing. Difficult to believe when you read the book, the hundreds of pages and the 578 “End Notes” with the sources I used. The first publishing experience, using Author Solutions, was a kind of disaster as I fell into the traps of that rip-off publishing group. Later I discovered I was one of the many fooled to pay for their services and I found some good websites – and books – on self-publishing. Feel free to interact, as an “indie author” we all have to learn from each other. What is an indie author definition? Being an independent author is an approach to writing and publishing, a matter of self-definition. If you see yourself as the creative director of your books, from concept to completion and beyond, then you’re indie.